We may call this the age of information, but we could also call it the age of steel. More than 1.5 billion tons of steel are made each year for bridges, concrete reinforcement, vehicles and building frameworks, among many other purposes. 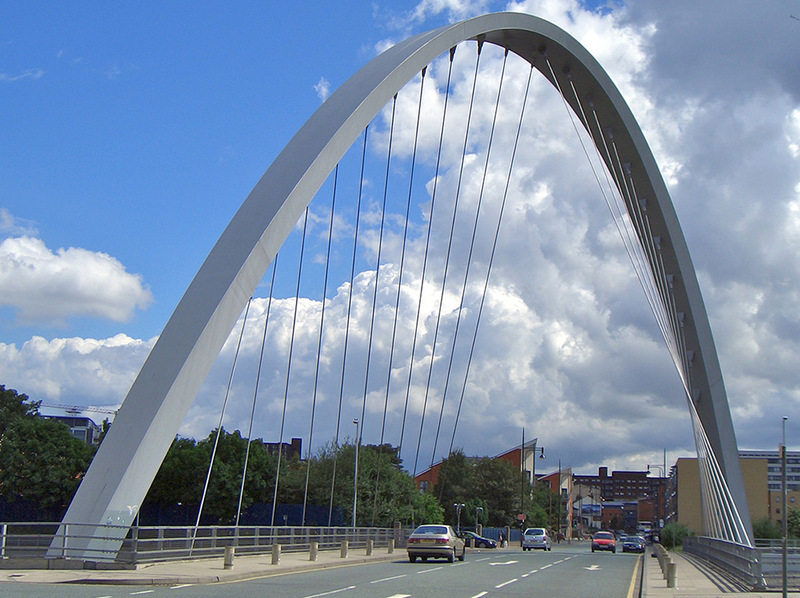 The Hulme Arch Bridge, at Hulme, Manchester, England, is a harmonious construction of steel cables and arches. Steel is usually about 99 percent iron, and the tight bond between iron and oxygen in iron ore explains much of the environmental cost of making steel. Now MIT professor Donald Sadoway has found a way to sidestep many of these drawbacks with a 1565° C process that uses electricity to separate iron and oxygen. Electrolysis is the reverse of a battery. Both batteries and electrolytic cells contain an electrolyte that conducts electricity between two electrodes. In both cases, the process alters the chemistry of the electrolyte, and an electrical current flows. In a battery, chemical energy in the electrolyte is converted to electrical energy. In electrolysis, electrical energy is converted into chemical energy. Top: On the cathode, chunky, molten iron sits on top of cathode material. Bottom left: The chromium-iron anode before use. 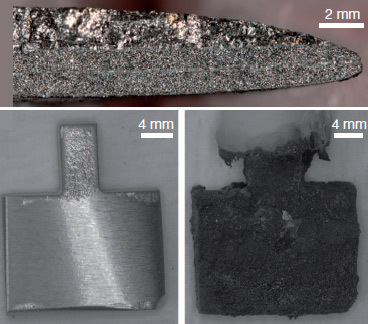 Bottom right: After use, the anode is almost the same size, though it’s covered with cooled electrolyte made of iron and iron ore. In iron electrolysis, reduction — the chemical reaction that allows iron to release oxygen — occurs at an electrode called the anode. Nearly pure iron pools at the other electrode. 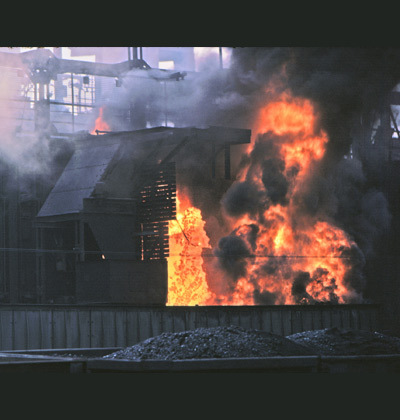 In conventional iron smelting, the oxygen reacts with carbon in coke, a carbon fuel, to make carbon dioxide. The molten iron is brittle, due to a high carbon content, so a second step is needed to drive off that carbon. Both processes make carbon dioxide pollution. Coke, a fuel used to strip oxygen from iron ore, was made in this English coke oven. Rollover to see air being blown through molten iron to clear carbon leftover from the coke. This Bessemer process is no longer used, but impurities remain a hindrance in steelmaking. Because the energy to cut the bond between iron and oxygen — and much of the electricity used to refine steel — both originate in coal, the iron and steel sector is “the second-largest industrial user of energy … and the largest industrial source of CO2 emissions,” according to the International Energy Agency. By improving efficiency, the new process should cut down on greenhouse gases. However, although because electricity is still needed, the size of the benefit depends on how the current is generated. The critical advance is an anode made of chromium and iron that can survive a 2850°F, oxygen-rich process — conditions conducive to a chemical reaction that would obliterate most materials. That allows an electric current to enter the hot brew of iron oxide. Hurdles remain. “I am not saying anybody will take a wrecking ball to an integrated steel plant,” Sadoway says. But he thinks an electrolytic smelter could avoid the need for a sinter plant to process iron ore, a coke oven to produce coke, and an oxygen furnace to remove excess carbon left over from the coke. 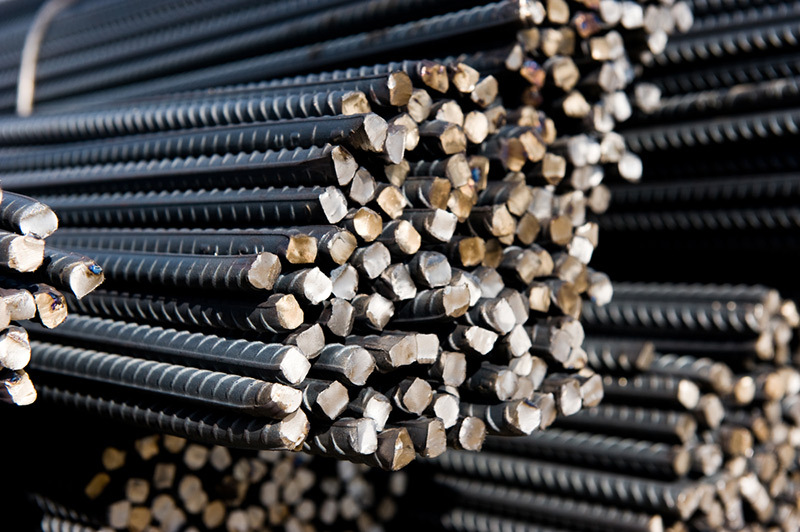 Huge tonnages of steel reinforcing rods are used to strengthen concrete. Steel plants cost billions of dollars, and must produce a couple of million tons per year to make money, Sadoway says. If the electrolytic process, with its reduced need for fossil fuel and equipment, survives further testing, smaller plant expansions could be possible, he says.